﻿Get our bracket assembly for less than half the cost of the OEM! 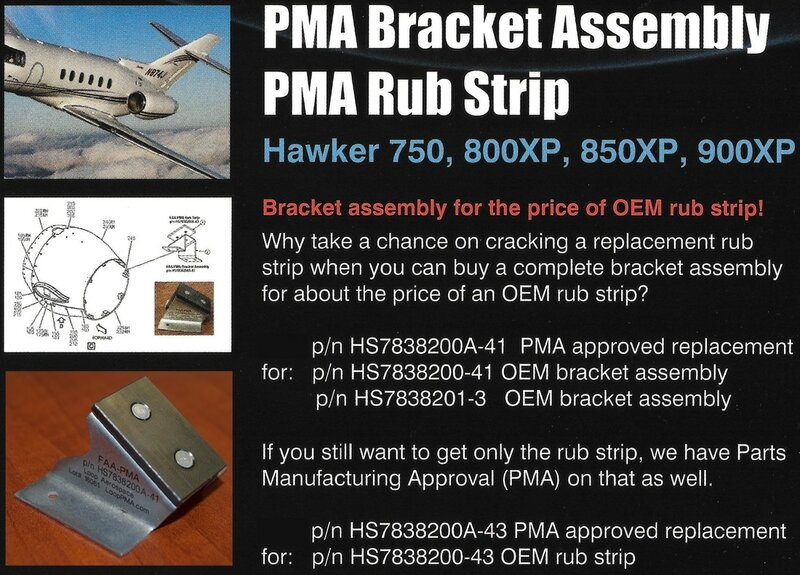 You can order the PMA approved Bracket Assembly; part number HS7838200A-41 (replaces OEM p/n HS7838200-41 and HS7838201-3) or you can order the PMA approved Rub Strips; part number HS7838200A-43 (replaces OEM p/n HS7838200-43). 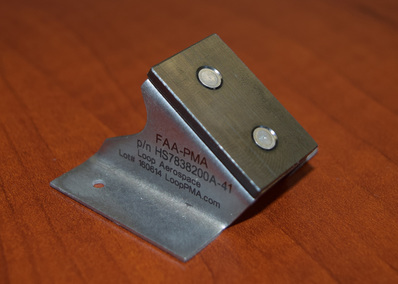 See which Hawker aircraft models the parts are eligible for installation under PMA Bracket Assy & Rub Strip.